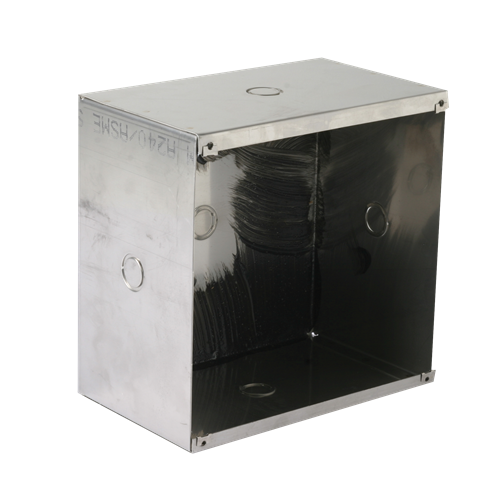 Flush mount stainless steel enclosure is designed for use only with AtlasIED speaker system models IHVP+. External mounting wings allow for easy installation into stud material. The enclosure is constructed of 18-gauge stainless steel.